THE mining cycle may have well and truly turned to the positive again, but one company declining to dive into corporate activity in favour of developing its own resources is South32 – the company created from the demerger of non-core assets of BHP. 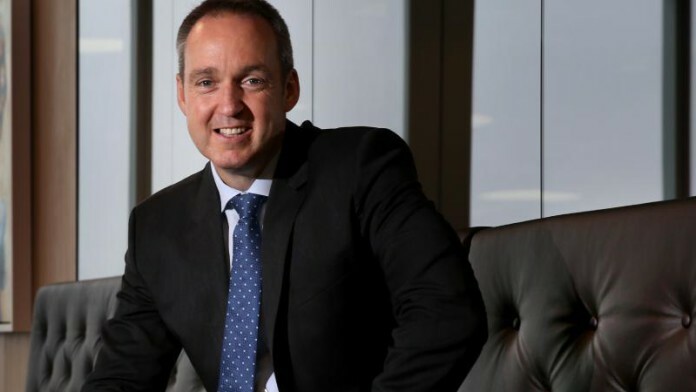 Asked by Miningmx in August why the company was relatively unspectacular in its approach to growth, South32 CEO, Graham Kerr, said: “We are what we are.” In other words, it had set out its stall to conservatively manage its cash – ‘take it or leave it’. This seems a rational and appropriate response for a firm born in the teeth of the metals price correction of the past few years. Its decision, however, to implement a share buy-back programme – which in August it extended by $250m to $750m – has both its fans and its critics. In essence, a share buy-back programme is how a company invests in itself and its own assets. The buy-back not only boosts the value of the outstanding shares, but it also increases the earnings per share payout when the company announces interim and final results. Some don’t like it though. South32 may argue it is serving the needs of enduring shareholders whereas other investors would rather have cash paid out to them so they can make the decision on whether to continue buying the shares or diversify into other stocks. “They always take place at exactly the wrong time; when the company has excess cash on the balance and quite often when they benefit director incentives [on share price performance],” said Jim Rutherford, a non-executive director of Anglo American. “But let’s not go there,” he added. “Obviously, shareholders like dividends because they can decide what to do with it,” said Mike Fraser, COO of South32’s southern Africa assets in a recent media round table. “But the problem is that from a value point of view, paying out dividends doesn’t increase the overall value of the business. It might increase the value for the shareholder today who has that benefit, but it does not increase the long-term value of the company,” he said. As for the suspicion that share buy-backs are only intended to boost the value of the share and enable directors to meet their own financial incentives, Fraser said the criteria of total shareholder return – on which South32 bonuses are based upon – also includes dividend payments. Either way, it pays the company’s officers to provide returns to shareholders. But the issue of share buy-backs would appear to be a moot one. “Some shareholders ask us to do our capital management through share buy backs because, ultimately, if you are a long-term shareholder you want to see that appreciation in the share price. Others are much more income focused and that’s why they want dividends. “So if you look at our total shareholder base, there’s a whole mix of shareholders, from value funds to income investors and trying to satisfy all of them means that there isn’t one scenario that always plays out,” he said.